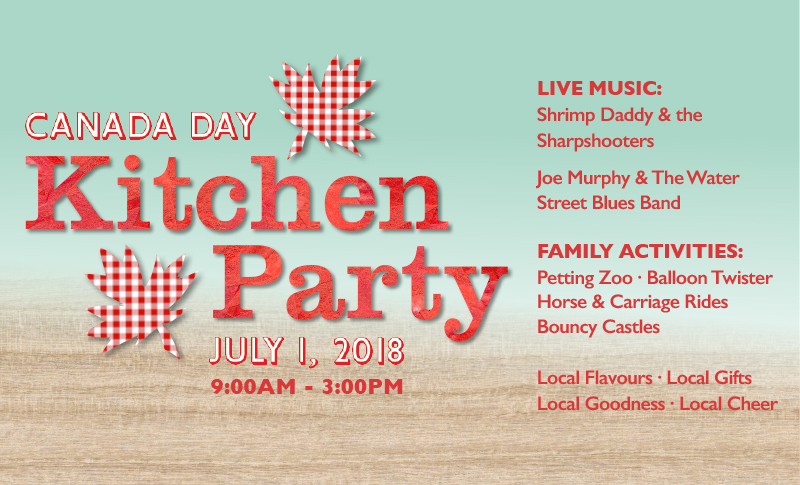 Canada Day Kitchen Party! | Halifax Seaport Farmers' Market Ltd. This year, the Halifax Seaport Farmers’ Market is thrilled to have Joe Murphy and the Water Street Blues Band and Shrimp Daddy & the Sharpshooters providing outdoor entertainment on the big stage. You will also find bouncy castles, a petting zoo, Hatfield Farm horse and carriage rides. Celebrations will be taking place inside and outside, rain or shine! Check out our map to see if your favourite vendors will be at the Market on Canada Day (select July 1, 2018 as the date to see a complete and up to date vendor list).